A tripod and the ability to shoot manual is about the most important. I shot this with a Canon S90 last month. Set it to manual, focused it and set it on the hood of the truck with the timer going. Far from perfect but I didnt play around with it, and I should have had a tripod. Most important thing is to become very familiar with your camera. I have one full sized tripod and a monopod, but also have a GorillaPod with a ballhead. I really like it when you want a tripod but don't want to carry that much. it really works well. I picked it up for a great price at a store that only had one in stock and I think they were trying to clear it. Like most things , it has limitations , but it works for its intended purpose. I used it for this shot on the hood of my truck. Those are great pics, Badknees and Perterra. Do you mind sharing what settings/exposure time you used? Thanks for all the advice and articles. As it turns out, I ended up buying a DSLR. I gave serious consideration to the Panasonic Lumix LX7 and the Canon G15. However, the Nikon D5100 is on sale because the 5200 is coming out soon. The price difference between the D5100 with a lense and the point and shoots was negligible, so I decided to go all in with the D5100. So far, I'm really impressed. I did some night shots in my front yard and was amazed at what you can do with the long exposure and ISO settings. I'm heading to the park on Thursday evening and hope to try my hand at some night shots. I'll post up next week when I return. Thanks again for all the advice. I used a 12-24 WA lens at 14mm. (use a wide angle if you have one). Manual mode - ISO 1600, f/4.0, 30 second exposure. Use the timer or remote release and a tripod. Focus manually. Just got the LX-7; it has a much faster lens than LX-5, and new features such as pano and HDR settings. I now want to learn how to shoot RAW with it. Sounds like you are set. You probably have a tripod if you've already tried it for night shots but if not, you can put one on your Christmas list. Looking forward to some cool shots. This was shot in the back yard just south of Dallas looking at the pleades cluster as a jet flew past. 15 seconds, f2.0 and ISO of 100 with the same camera, just used a tripod. I have a DSLR but rarely carry it anymore. So I went to the park this past weekend in hopes of trying my hand at some night shots. 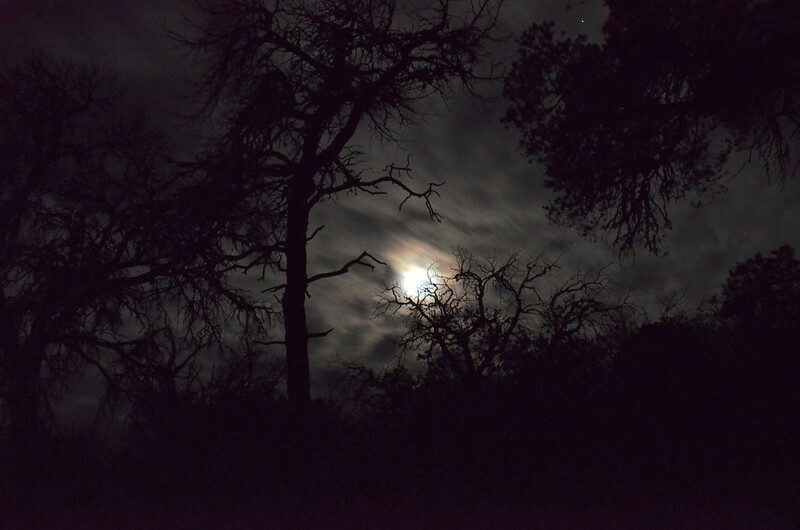 Unfortunately, the weather did not cooperate and the night skies were obscured by clouds almost every night. 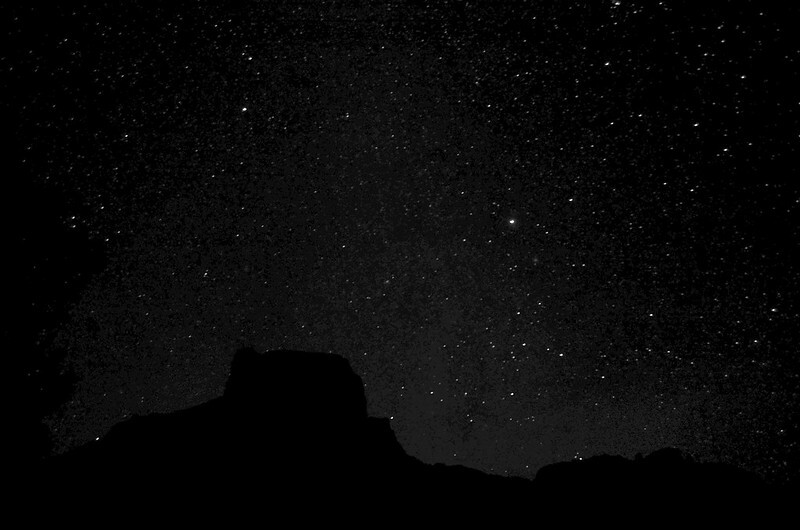 On Sunday night, my last night in the park, I camped in the Basin and hoped to get a shot of Casa Grande outlined by the stars. However, the clouds didn't cooperate so I went to bed bummed that I didn't get the opportunity. I slept in a hammock under the canopy and had a good view of the sky. 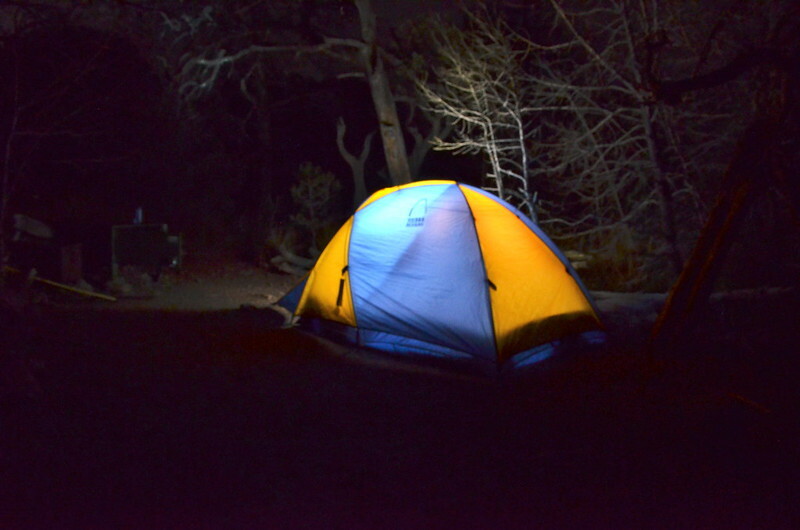 I woke briefly at around 2:00 a.m. (as I always do when camping) and was greeted by clear skies and tons of stars! I quickly got up, set up my cheesy tripod, and took a few shots. I didn't have a remote shutter control, so there is lots of noise, but I am happy with my first try. 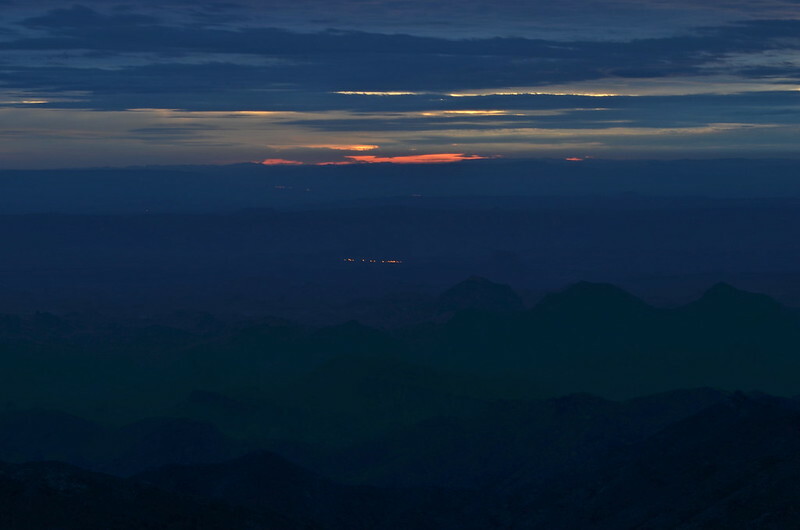 Here is a view from the South Rim, showing the lights of the small town of Santa Elena in Mexico. Amazon has an incredible deal on the Canon s100 for Black Friday, $229 almost $200 off. I just ordered one to replace my s90 that I have really liked. They also have a great deal on the Lumix LX7: $299 down from regular price of $499. That too is a great camera and deal and to your original question of this thread, is the only one of the P&S cameras that has 60 seconds as its longest/slowest shutter speed. The really hot camera in this category right now is the Sony DSC-RX100 but it is wicked expensive too.